For hire for a day, a week, a month or more. 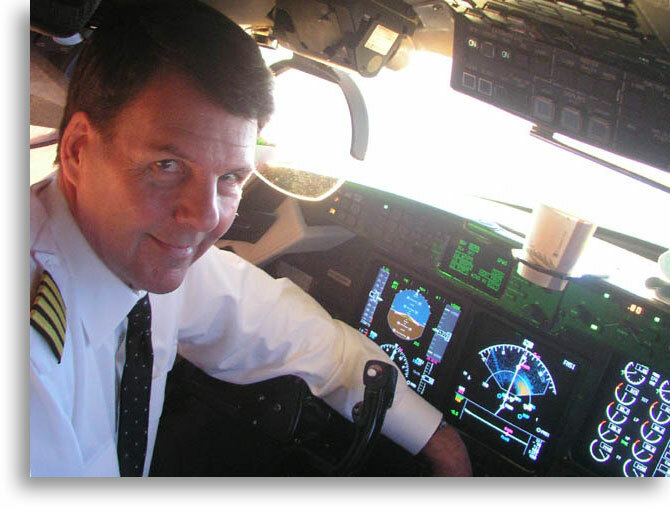 I am Gene Allen, and I have specialized in temporary assignment contract flying in Gulfstream IV aircraft since 2003. Anguilla (St. Martin), Australia (Perth, Melbourne), Azores (Lajes), Bahamas (Nassau, Rock Sound), Belgium (Brussels), Bermuda, Brazil (Recife, Iguazu), Canada (Gander, Iqaluit, Vancouver, Toronto, Montreal), Chad (N'Djamena), China (Hong Kong, Beijing, Shanghai, Jinyan), Croatia (Dubrovnik), Dominican Republic (Punta Cana, Santo Domingo), Egypt (Cairo, Sharm El-Sheikh), Ethiopia (Addis Ababa, Gambela), France (Paris, Lyon, Toulon, Le Castellet, Nice), Germany (Frankfurt), Ghana (Accra), Greece( Athens, Mykonos), Guam, Guatemala (Guatemala City), India (Mumbai, New Delhi, Hyderabad, Ahmedabad), Indonesia (Jakarta), Ireland (Shannon, Cork), Israel (Tel Aviv), Italy (Milan, Venice, Rome, Naples, Pisa, Palermo, Perugia, Torino), Japan (Tokyo, Nagoya, Osaka, Nagasaki), Jordan (Amman), Kazakhstan (Astana, Almaty), Kenya (Nairobi), Malaysia (Kuala Lumpur), Maldives (Male), Mauritius Islands, Mexico (Toluca, San Jose del Cabo, Puerta Vallarta), Morocco(Casablanca), Mozambique (Maputo, Beira, Lichinga), Nepal (Kathmandu), Netherlands (Amsterdam), Oman(Muscat), Peru (Lima, Cusco), Philippines (Manila), Portugal (Faro), Romania (Bucharest), Russia (Moscow), Saudi Arabia (Riyadh, Jeddah, Damman,Medina, Abha), Senegal (Dakar), Seychelles Islands, Singapore (Changi, Seletar), South Africa (Cape Town, Johannesburg, George, Port Elisabeth), South Sudan (Juba), Spain (Palma, Ibiza, Malaga), Sri Lanka (Colombo), Switzerland (Geneva, Zurich, Basel, St. Moritz, Buochs, Sion), Syria (Damascus), Tanzania (Dar es Salaam), Thailand (Bangkok, Chiang Mai), Tunisia (Tunis), Turkey (Istanbul, Sabiha Gokcen, Bodrum), U.A.E (Dubai, Al Maktoum), U.K. (Lutton, Stansted, Gatwick, Biggin Hill, Heathrow, Doncaster), Ukraine (Dnepropetrovsk), USA (All 50 busiest US airports. ), Venezuela (Caracas), Zanzibar (Zanzibar Intl. ), View on map. 40 years of flying...so what else have I been up to? Boy Scout, Paperboy, nice guy, etc. ...who still doesn't know it all. But as a former simulator and ground instructor for Gulfstream aircraft at Flight Safety, I have more training than the average pilot receives in a lifetime. It's not the same everywhere. So, if you are going somewhere far away, maybe I already know the local handshake. And if you already do, you can be sure that I'll be right there backing you up while you haggle with the locals. I understand English in numerous dialects, including ICAO which I speak fluently and properly so as not to embarrass my associates in the cockpit. When not globetrotting, a trip to Chicago, Dallas or anywhere else here in the homeland is fine by me — Where ever you are destined, it is the most important and interesting place in the world to me. No Accidents, Incidents. Never even a traffic ticket! Correction—I received my first traffic ticket after 40 years on the road. Darn. Otherwise I have never scratched, dented or damaged anything with wheels or wings. And I intend to keep it that way. Three words to live by in this business although maybe not 80% of the job. But you can count on me to be there on time. There's nothing worse than someone who won't put the clipboard back where YOU left it. I understand these unmentionables and will mind my manners. My home base is Fort Lauderdale, Florida, U.S.A. There are three major airports nearby (KFLL, KMIA, KPBI) with hundreds of economical flights to where ever you need me. Send me an email by clicking here.